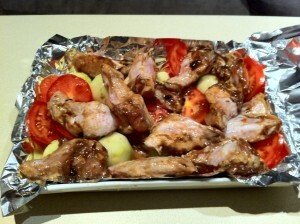 Marinated in olive oil and lemon juice, mixed with potatoes and tomatoes. Was brilliant. Previous Post: Somethings simply require background! Next Post: I set off on a journey to the house of Ops!